Do not use the before names of people, companies, most places and countries. 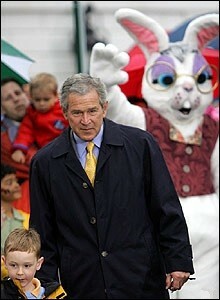 The rabbit behind George Bush is waving. • He lives in Indonesia. • They work for British Telecom. Remember: No the before names. Do we use the before names of . . ?